Are you thinking of getting a mouse? These friendly, inquisitive and delicate pocket sized pets are great companions. They have been bred as pets for 10 centuries and there are pet mouse owners, shows and pet mouse societies, and they are equally popular as much as shows and societies for dogs, horses, and cats, for example. With proper care, mice will keep you and your family entertained for hours on end. It’s a good idea to start with two or three female mice. The females like the companionship of their own kind, as well as their human friends. Males should be kept by themselves or they will probably fight so they are not the best choice as a first mouse. If you buy your mice directly from a reputable pet-mouse breeder or a reliable pet store, you will do better than if you purchase them from a less dedicated and not as much animal-friendly pet store which may have bought their mice from rodent mills. These often sell poorly bred mice possibly with hereditary health problems. In addition, pet-store living may result in its own health problems. You may also see timid, stressed-out badly caged mice which you should avoid. Pet mice should not be as timid as wild mice. Their eyes should be bright and their fur should appear healthy and clean. Bald patches on the coat are a warning sign, unless the rodent belongs to a hairless breed, of course, but we’ll talk about health issues later on. Which breed of mice to buy as a pet? Of the most well known different mouse breeds such as House Mouse (mus musculus), Field Mouse, Wood Mouse (Apodemus sylvaticus), Deer Mouse (Peromyscus maniculatus), Harvest Mouse (Micromys and Reithrodontomys) and Dormouse, there are several domesticated pet mice varieties widely sold by mice breeders and good pet stores. This article will give you basic pet care info and pet facts for the domesticated mice which most people keep as pets. While white (albino) mice are the most common type found in pet stores, fancy mice can be up to double the size, and come in a wide variety of coat colors and types, anything from curly and shiny to silver and cinnamon. An average mouse measures about 3 1/2 inches in size, not including tail, and weighs only 1/2 to 1 ounce. This will influence the size of the cage so we recommend reading our best mouse cage reviews to pick the right unit. Always stick to domesticated breeds. It is not recommended to try to make pets of wild mice. They may start out docile when they are babies, but when they mature they may become spooky, unfriendly and fast and they rarely calm down or become affectionate. The average pet mouse lifespan is between one and two years, according to the American Fancy Rat and Mouse Association. This is one of the shortest lifespans of any pet rodent so you should try to make their lives happy, healthy and comfortable. The type of life you provide for your pet will significantly affect how long he lives. For example, mice are really social animals, so getting a companion to your pet will keep him happier and healthier, at the same time. A healthy, nonfattening diet will also keep him around for longer as obesity can overload a mouse’s heart and lead to early death. Mice are curious, charming pets, and will be active at various times throughout the day. For their long and happy life, it’s important to realize that mice are fragile and should be treated gently and with great care and affection. Children caring for them should always be supervised by an adult after a thorough training on how to care for a mouse. Let’s start with providing your new little companions with an adequate home. Mice like to socialize with members of their own kind, and females will do especially well in a group. Males, on the other hand, can be kept together if introduced at a young age. If they are introduced when adults, they will fight other male mice, sometimes to the death. If you plan to keep several early introduced males together make sure to provide enough room. Do not house males and females together, since mice breed quickly and most often with large litters. You can keep three to four mice in a ten-gallon glass tank with a wire cover. There should be about several inches of bedding. Use either aspen, hard wood shavings or reprocessed paper products. Avoid cedar and pine shavings at all costs, as these will cause health problems for your pets. Make sure you put in plenty of interesting and comfortable to use furniture Provide small boxes or flower pots to hide in, and cardboard tubes for your mice to chew and run through. You can also add a tree branch or a few of them, depending on the size of the cage for the mice to climb on. Most mice will enjoy running on an exercise wheel immensely. Make sure that the wheel has a solid surface without wire rungs, so their tails cannot get caught while running and they don’t hurt their little feet. Plastic habitats which are designed for hamsters will also work very well for mice. 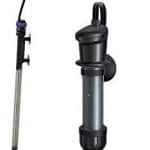 However, since mice are considerably smaller than hamsters, you might need to put small branches in the tubes so the mice can climb up and down. Keep in mind, however, that these cages can be more difficult to clean. The ASPCA does not recommend that you keep your mice in a wire cage made for hamsters. These models may have bars spaced too far apart to keep mice inside. If a person can stick their fingers through the bars, a young mouse could probably sneak out easily. Make sure to regularly remove droppings, food leftovers and soiled areas of bedding from your pets’ cage every day. 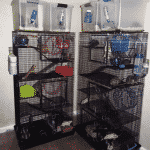 Clean the whole cage thoroughly once a week by replacing dirty bedding and carefully wiping down the rest of the cage. Male mice will tend to produce more odor than females, so their cages may need to be cleaned more often. 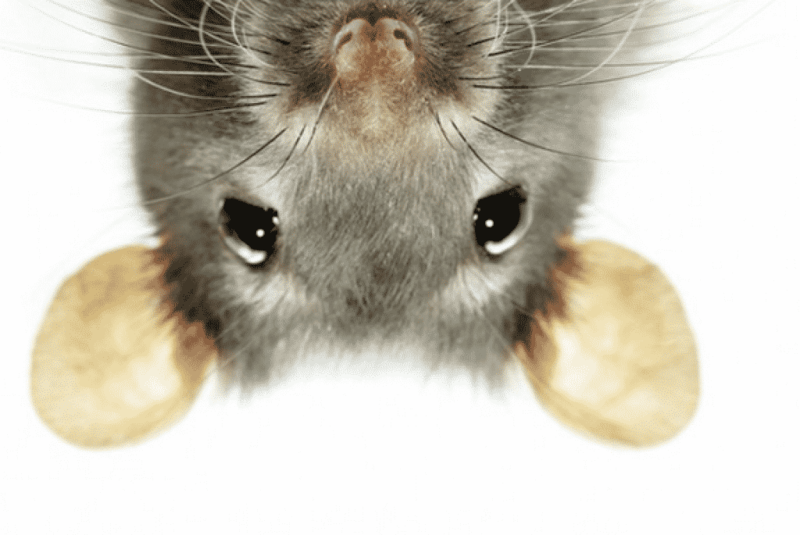 Like all rodents, a mouse’s sharp front teeth grow continuously. Provide unpainted, untreated pieces of wood, dog biscuits or safe chew toys. You can find them at the pet supply store for your mice to chew. This is crucial for keeping their teeth in good condition and this practice will prevent dental problems. Mice are very good jumpers, so you need to be careful when you take them out of their cages. You can scoop them up in your hand to safely transport them out of the cage. Do not grab mice by the middle or end of the tail, since they can be hurt this way. If you need to catch a mouse quickly, you can grasp him at the base of the tail and lift him up as you cup him in your hand. In time, you will be able to tame your mice to sit in your hand or on your shoulder. Start by feeding your mice treats and once they’re comfortable accepting treats from your hand, you can gently pick them up. Talk softly to them, too, and let them get used to your voice. Gradually increase the length of these sessions as your pets get used to being handled. Once your mice are hand-tamed, you can let them out of the cage for some supervised exercise every day. We recommend a small, secured area where you mice cannot get stuck behind furniture or chew on electrical wires. If you think one of your mice is ill, seek medical attention from your vet immediately. Diarrhea – often easily spotted by loose stool caused by poor diet, stress, internal parasites, unclean housing, or other illness. Consult with a veterinarian to determine cause and treatment. Malocclusion – diagnosed by overgrown teeth. You should consult with your vet to have teeth trimmed regularly. Mites – external parasites that cause mice to lose patches of hair. Your vet will recommend treatment. Tumors – abnormal lumps should be reported to the vet immediately. 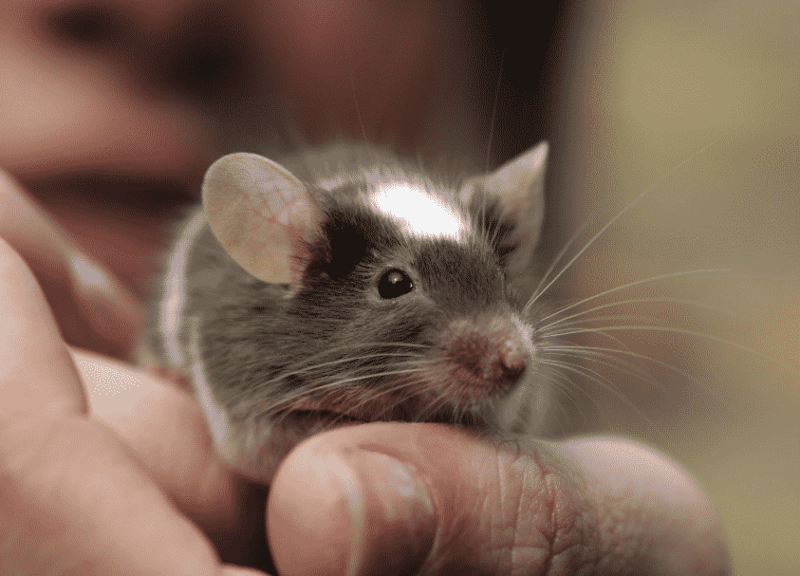 A word of caution: since all small animals are potential carriers of infectious diseases, such as Lymphocytic Choriomeningitis, Rat Bite Fever and Salmonella, always wash your hands before and after handling your mouse or habitat contents to help prevent the potential spread of disease. Pregnant women, children under the age of 5, senior citizens and people with weakened immune systems should consult their doctor before purchasing or caring for mice as pets to see if there are any risks involved. Better safe than sorry! Mice will do well on a good commercial rodent food, either in block or pellet form. You can find great quality food at pet supply stores and feed stores. Check that the formula you select contains at least 16 percent protein and 18 percent fiber, but not more than 4 percent fat. Experts on mice diet recommend offering small amounts of fresh fruit and vegetables to your mice every day as treats. Peas, broccoli, carrots, apples and bananas are good foods to start with. You will need some time to experiment and figure out your pets’ favorites. Please don’t over-feed them as mice have tiny tummies and cannot process too much food. Fresh, clean water (preferably without chlorine) should be available at all times. A water bottle with a drinking tube that attaches to the side of the cage is the best way to go. Foods that are unhealthy to humans are obviously not to be fed to mice. Never offer a mouse any candies, including chocolate. Processed sugar isn’t safe for them and neither are salty snacks, however tempted you may feel to share your unhealthy snack with your little friends. A variety of other human foods are also severely hazardous and some are even poisonous to mice. These foods include walnuts, peanuts, corn, raw beans, rhubarbs, onions, raisins and grapes. Never feed a mouse any of these foods. Wheat, lettuce and corn are all also inappropriate for mice, as they can bring on tummy distress and loose stools in the poor little ones. Unless you have veterinarian confirmation that a certain food is safe and good for your mice, don’t give it to them. Here are a few explanations why certain foods are neither good nor safe for your mice. The problem with nuts is they’re extremely high in fat. Mice easily gain weight and can become obese. Being overweight is not only uncomfortable but can also lead to other health problems. Peanuts can destroy vitamin A and enzymes needed to digest protein and starches and may cause red blood cells to clump. Roasted peanuts are fine but be careful not to feed them too many because they are very high in fat. Dried corn can contain high levels of fungi which have been shown to cause liver, kidney and colon cancer in rodents. Corn also contains high levels of both nitrates and amines. These two compounds can combine in the stomach to form nitrosamines which are carcinogenic. Raw beans can also destroy vitamin A and enzymes needed to digest protein and starches as well as cause red blood cells to clump. Onions can cause an upset stomach and may also lead to anemia. Mice can be wonderful, friendly and entertaining pets. They’re active and very sociable. They live short lives compared to most other bigger pets, so bottom line is, the amount of time and care you devote to your furry friend will certainly make their life happier and, hopefully, longer. young mouse escaped the 1st night in the critter trail starter kit. I could not find any areas of escape except through the wires. Is this common? We caught 2 young mice living in our fireplace, and they were about 1 1/2 inches.